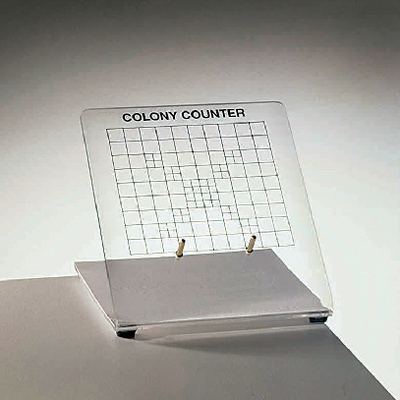 Place a Petri dish over the grid to quickly and accurately count colonies. The counter is Plexiglas and etch-printed with rulings for use with 60 or 100 mm dishes. It can be used with or without an outside light source. Size: 5 1/4 L x 5 1/4 W x 4 1/2 H".